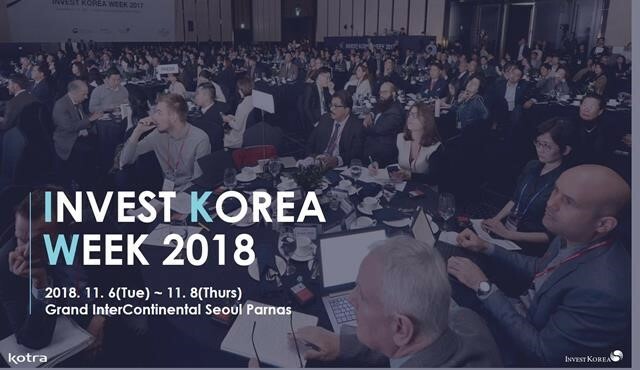 Invest Korea Week (IKW), hosted by Ministry of Trade, Industry and Energy(MOTIE) and organized by Korea Trade-Investment Promotion Agency (KOTRA) is Korea’s largest international investment promotion event. IKW is committed to bridging foreign investors and Korean companies in finding business opportunities in Korea and beyond. Last year, over 2,000 attendees, including foreign investors, foreign and local press, executives of Korea companies, local government officials, free economic zone authorities and other related organizations’s representatives, participated in IKW 2017. The IKW Event provides a wonderful opportunity for Australian and New Zealand companies to arrange business meetings and learn more about various opportunities in Korea. This year there is a particular focus on new emerging industries and the Korean startup ecosystem which will be participated by over 100 Korean startups, global investors and Korean VC’s. Selected participants will be eligible for incentives to attend, such as free hotel accommodation.